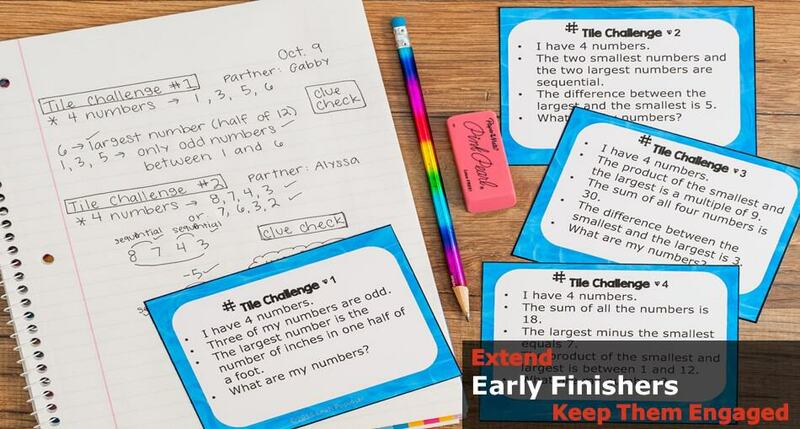 You don’t have to spend hours looking for something to keep your early finishers engaged and learning! 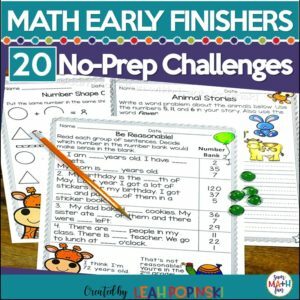 There are over 130 no prep math challenges right here in this bundle! 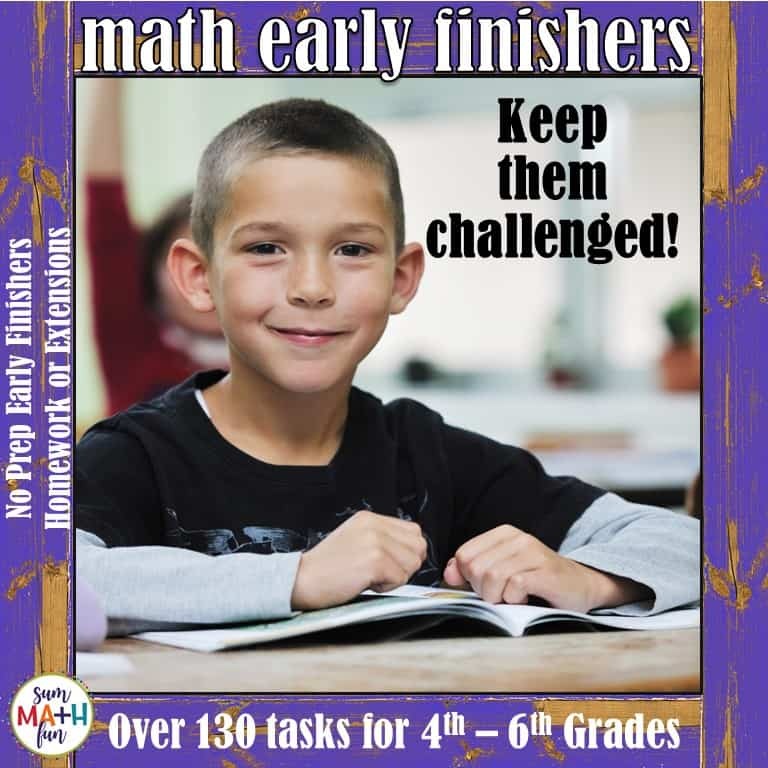 Use these tasks for early finishers, gifted students, morning work, math warm-ups, math centers, or collaborative work. Each packet includes the use of the Common Core Mathematical Practices and Texas TEKS Process Standards. 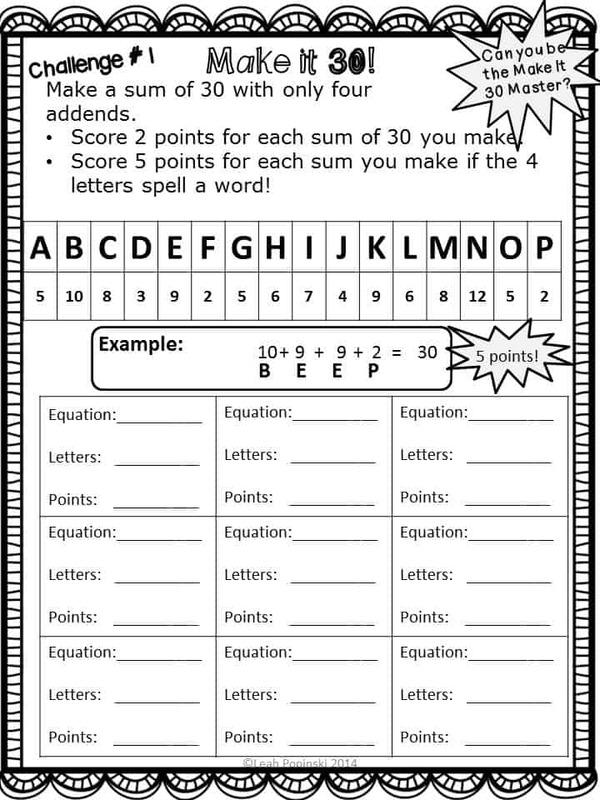 ►Targeted mathematical thinking. No fluff. Rigorous and fun. 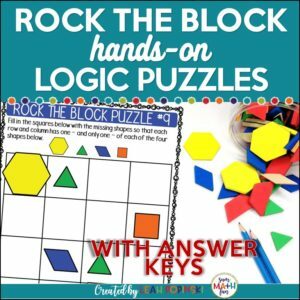 These math tasks will have your fourth, fifth, and sixth graders thinking, reasoning, using math vocabulary, order of operations, and number sense! They may also work well for some 3rd graders. Please see the preview! Prevent off-task behavior by keeping those eager minds engaged, motivated, and challenged with these tasks that promote mathematical thinking and reasoning. 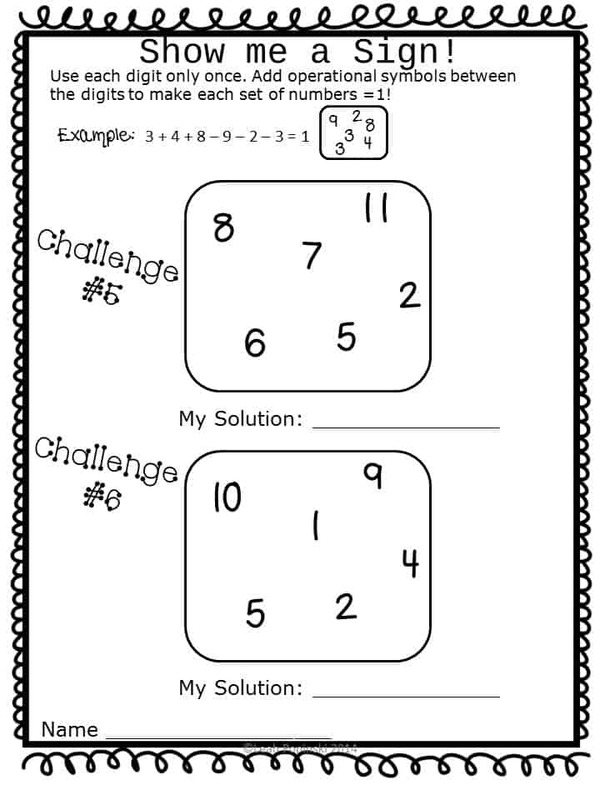 Each task is also a springboard for great mathematical classroom conversations! Parents love seeing these come home for homework, too. Just print and let the thinking begin! 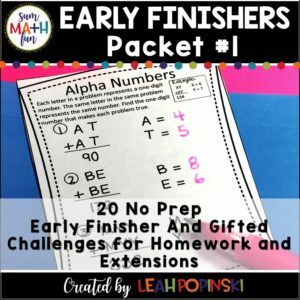 ⭐ Save $$$ on this fast finisher and gifted math bundle! ⭐ Save over 20%!! 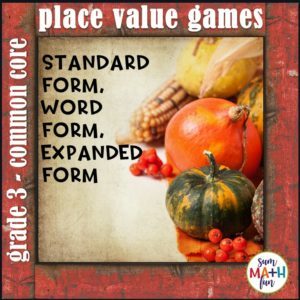 “This has been an awesome supplement for my students! Challenging, yet attainable.” -Coal City Intermediate School F.
✋ Want to know more about what’s included? Click on the links below to view the individual previews for each resource! ✅Place Value Number Sense Task Cards: These Tasks are Open Ended. An answer key is not provided since there are many possible answers to each task. ❤️ All of these are no prep! Just print, laminate or use sheet protectors, and use year after year!